A big focus of mine, lately, is trying to cut out carbs. (or at least cut them way, way down!) That can make breakfast a bit of a challenge. But not so with these Paleo Sweet Potato Breakfast Stacks. The sweet potato acts like a piece of bread and it gets stacked with the most amazing tastes. Trust me, you won’t miss the carbs on this one! 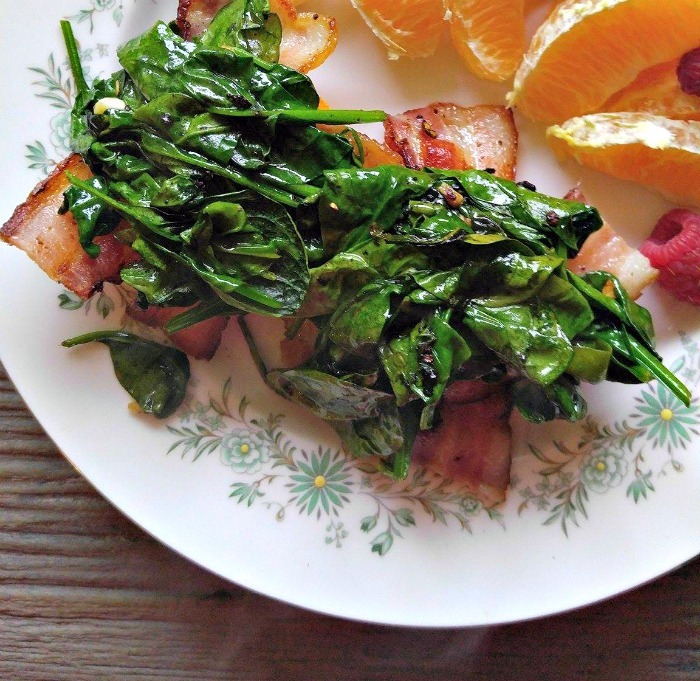 This recipe is gluten free, Paleo, works in a Low Carb diet, is Whole 30 compliant (check your label for the bacon – Whole 30 bacon is hard to find without sugar), and dairy free and it tastes amazing. Who said whole foods have to be boring? Just look at the flavor oozing out of this incredible breakfast. Following a wheat free diet can mean that you have to make some gluten free substitutes or replacements for normal ingredients, but this recipe proves that the taste will still be there! Making these Sweet Potato Breakfast Stacks is a cinch. I started by peeling and slicing my sweet potato into 1/2″ rounds and then adding some olive oil to a non stick skillet to cook them. A quick flip after 3-4 minutes and again on the other side and they were ready to top. While they were cooking, I boiled some water to soft poach eggs and cooked bacon until it was crispy. Most of the bacon gets drained so the pan is ready for the garlic and spinach. Spinach and garlic got a few minutes in the pan after removing most of the bacon grease with a paper towel until the garlic was cooked and the spinach had wilted. I started with two rounds of sweet potato on each serving plate. 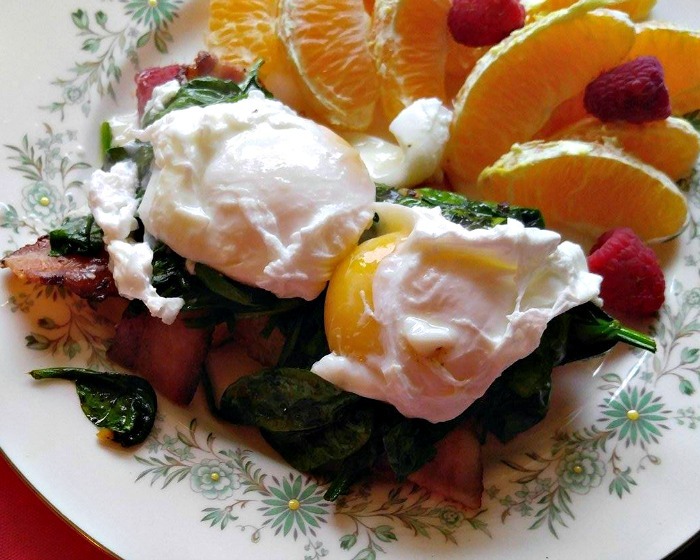 A slice of bacon on each round and some spinach gave me a bed for the eggs to come. On go the eggs to top my creation. How great does this look? I can’t wait to dig into it. 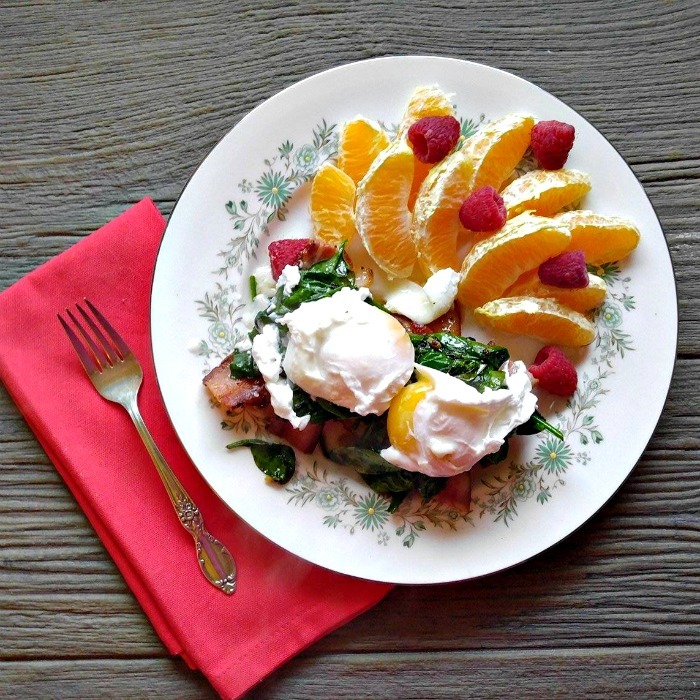 Serve these sweet potato breakfast stacks with some fresh fruit. I promise that you will be full and satisfied until lunch time! 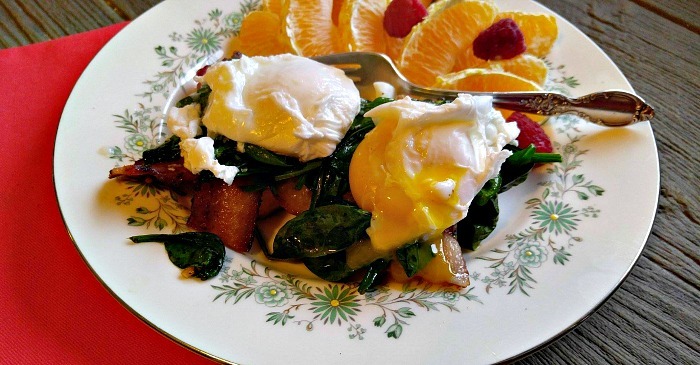 The eggs are perfectly cooked to a soft boiled stage in about 4 minutes and add so much flavor as they ooze over the spinach. YUM! This recipe is ready in about 25 minutes and is so satisfying and filling. You will be filled until lunch time, guaranteed. Who needs bread? Use sweet potatoes instead! 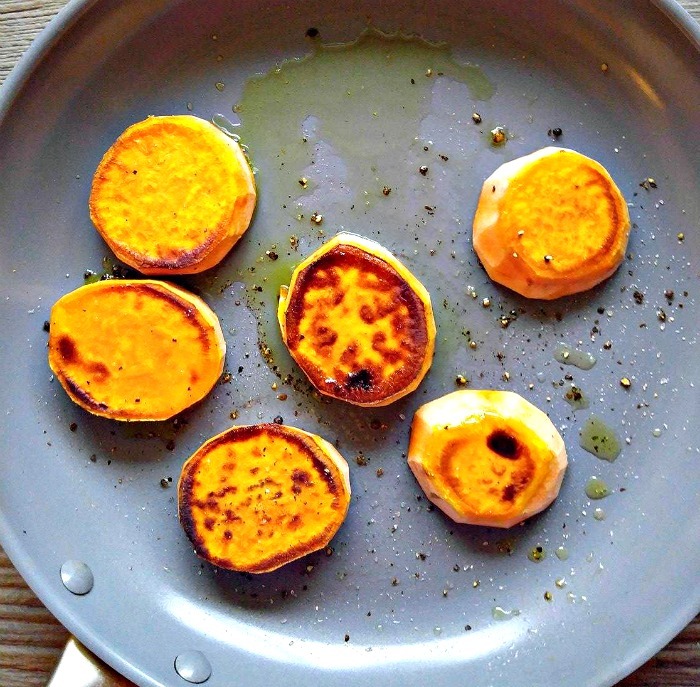 These Paleo Sweet Potato Breakfast Stacks are easy to make. The sweet potato acts like a piece of bread and it gets stacked with the most amazing tastes. Add the olive oil to a non stick skillet. Season the sweet potato rounds with salt and pepper and.cook them until they are fork tender - about 3-4 minutes on each side. Set aside and cover with foil while you prepare the toppings. 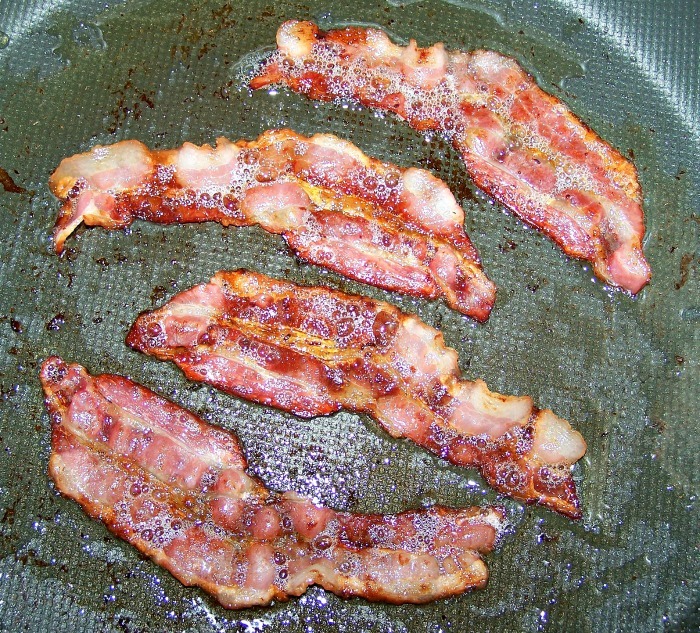 Place the bacon in a non stick skillet and cook until it is crispy. Add the rice wine vinegar to a pot of boiling water. Break the eggs into a small bowl and gently add them to the boiling water. Remove from the heat and cover. I let mine sit for 4 minute and had a lovely soft yolk. Leave them a bit longer if you like a firmer yolk. While the eggs are cooking, remove most of the bacon grease from the pan and add the garlic and cook for about a minute. 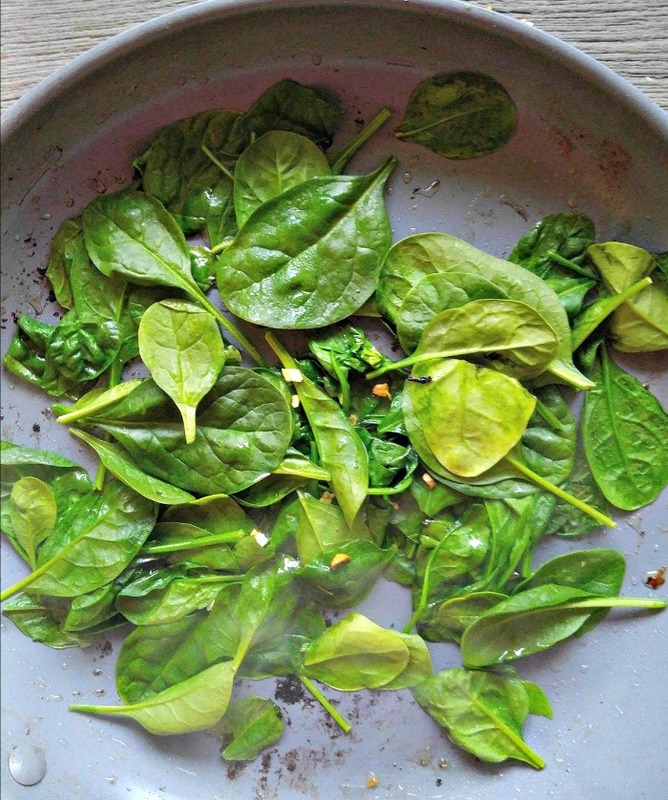 Add the spinach to the pan and allow it to wilt. Place the sweet potato rounds on serving plates and top each round with a slice of bacon, 1/4 of the garlic and spinach and one soft boiled egg. Idea adapted slightly from a Whole30 recipe.